I want to apologize to you, my dear readers. I planned on giving you all a few posts a week but alas between a wonky wi-fi connector and a slight illness I have I seem to not have been able to write the way I wanted to. Frankly, the way I need to. But thankfully I am here now. 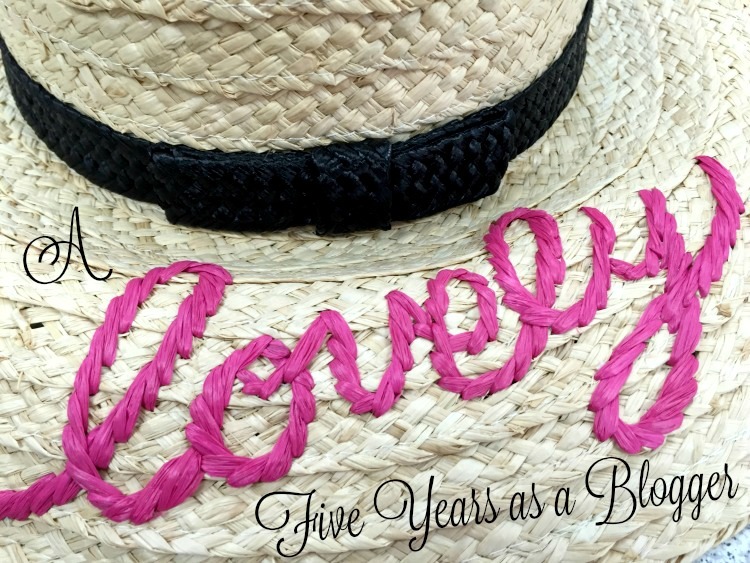 I want to share with you that just a few days ago on July 12th, I celebrated five years as a vintage blogger!This is a huge milestone for any blogger. Although it has been a struggle to keep creative and maintain my blog, I love it so much that it has become like another child to me. Being a mother and balancing home life with the challenges with my disability has tough. I won't sugar coat it. Its overwhelming more than it isn't but being able to be creative with my writing, to learn more about the vintage world, and to immerse myself into this wonderful community we are all a part of has been worth it. I started out humbly on another blog which I later renamed Bunny's Victory. And now I am here at A Vintage Nerd blog and this is exactly where I was always meant to be. Although I have learned so much in the past five years, there is still so much to learn. And as much as I love where I am as a blogger, I know there is still so much more out there waiting for me to explore and learn about. I cannot help but feel excited and thrilled about these five years and about the years of blogging to come! Being a blogger has meant more to me than I ever imagined it could. I never knew in the midst of everyday life how important and vital it has become for me to write, publish, and learn. Most importantly it has allowed me to step outside my mommyzone and try things I would have never thought of trying before. Being a blogger has reminded me how important it is to take care of yourself, how important it is to try new things, to not be afraid of making your dreams come true or daring to dream of things you never would have thought of dreaming of before. I have met some incredible people, forged special friendships, traveled, done photo shoots, and became a published writer (nonblog) just to name a few. Typically people celebrate their blogs milestones with something spectacular. I wasn't able to blow up balloons or throw confetti in the air but I did dress up recently and I thought I'd like to share it with you. If you have been with me from the beginning you know how much I have grown in my style and hopefully watched me grow a bit more confidante as well. Many of us worry about what others will think or say when we dress in our vintage best. I am hear to tell you that there is nothing better than owning who you are and embracing your own personal style. I hope you stick around A Vintage Nerd blog a little longer because there are some amazing things that are going to be happening here in the near future. I want to thank all of you for sticking by me through thick and thin and for always believing in me. I wouldn't be able to do what I love to do without all of you. Thank you! Joyful congratulations on five amazing, fun filled years of blogging, dear Daffny. It has been a true honour to watch your blog grow, transform and flourish from its earliest days to know. I've said it before, but I will happily say it again - you are an inspiration, a beautiful person inside and out, and one of the loveliest folks in the vintage world. Thank you for enriching our community with your presence and passion. Here's to your next year of blogging and many more to come! Happy blogiversary! 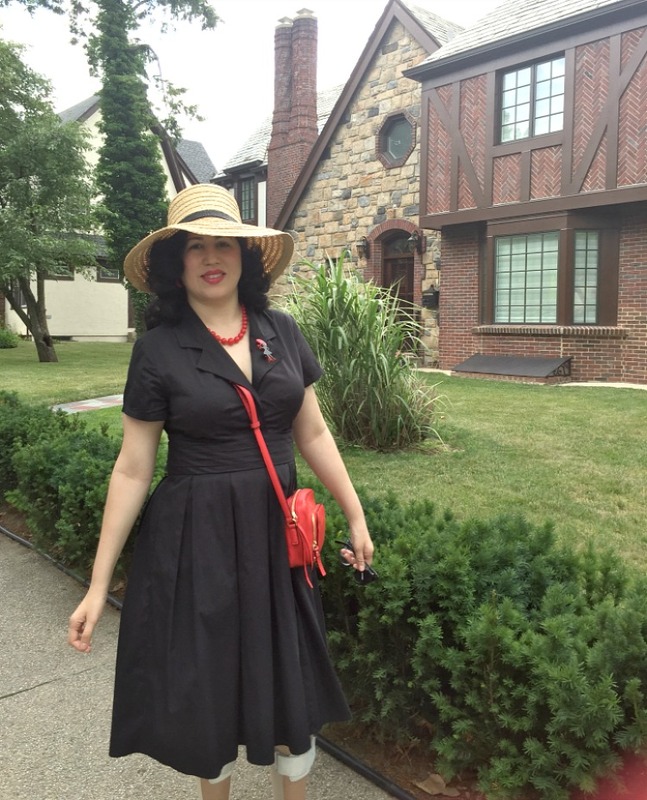 You are one of the very first vintage blogs I discovered, and I have so enjoyed your gorgeous outfits and the many movies and tv shows you have recommended. Happy Anniversary, Daffny! Love your blog and look forward to the next five years - and beyond! Congrats!!! And what a darling outfit too! !